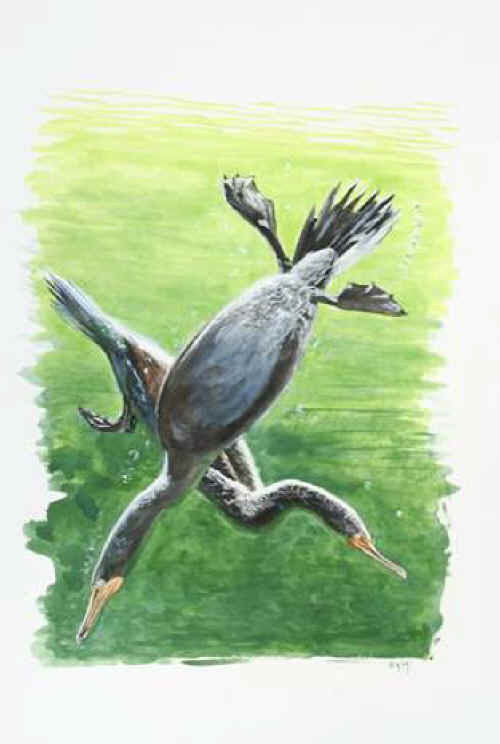 This painting shows two Double-crested Cormorants diving beneath the surface of the water, in search of fish. While they may take any aquatic prey of suitable size, their main prey is fish. There needs to be enough fish to compensate the energy demands of diving and swimming underwater, so the presence of comorants indicates large numbers of whatever species they are consuming. 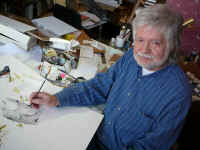 This small vignette was done in gouache watercolour on paper.